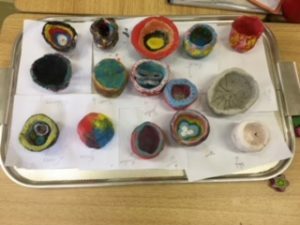 2nd Class have been exploring clay and making pinch pots. 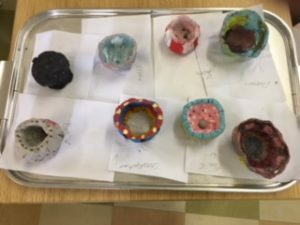 They also added lines and texture to their pots, and finally painted them. 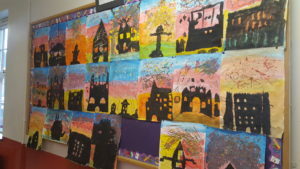 2nd Class learned how to apply background colours, add a darkened silhouette of a building and finish their pictures with printed fireworks. The children are very familiar with city landscapes, especially exciting during fireworks displays! 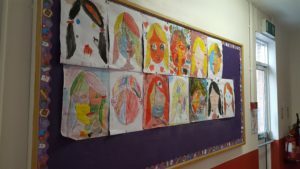 The children learned about Pablo Picasso from their reading, and about his different styles of painting. We looked at a wide range of his paintings. They were particularly taken with how he painted faces, and this discussion inspired them to draw their own “Picasso” portrait. 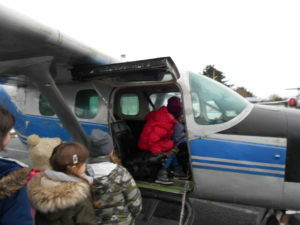 Second class had the privilege of visiting the Atlantic Airventure in Shannon in January to learn all about planes.Having an opportunity to experience a flight simulator was very exciting, as was seeing all the planes.